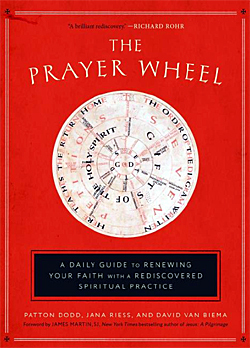 A Daily Guide to Renewing Your Faith with a Rediscovered Spiritual Practice. Patton Dodd; Jana Riess; David Van Biema. The Prayer Wheel is a modern interpretation of the Liesborn Prayer Wheel, a beautiful, almost wholly forgotten, scripture-based mode of prayer that was developed in medieval times. It faithfully and beautifully presents seven prayer paths for personal or group use. Each path invites contemplation on the “big ideas” of the Christian faith: the Lord’s Prayer, the Beatitudes, the gifts of the Holy Spirit, and key words from the life of Christ. This collection of brief and evocative meditations and practices invites us to cultivate the gift of waking up to the beauty of reality in all its glorious ordinariness. 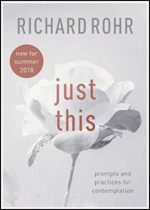 With his signature blend of contemplation, theology, and pastoral sensitivity, Richard Rohr creates a spaciousness for the soul to grow into a kind of seeing that goes far beyond merely looking to recognising and thus appreciating. This is the heart of contemplation, the centrepiece of any inner dialogue that frees us from the traps of our perceptions and preoccupations. The contemplative mind does not tell us what to see; it teaches us how to see what we behold. 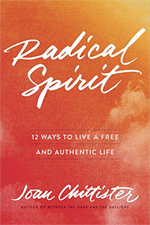 12 Ways to Live a Free and Authentic Life. Feeling burnt-out from life, strung-out from social media, and put out by a society that always wants more from you? Beloved nun and social activist Joan Chittister offers a practical, character-building, and inspirational guide to help you take control of your emotional life and redirect your spiritual destiny. 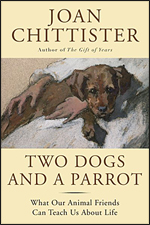 With a series of twelve simple rules for healthy spiritual living, Chittister not only reminds us, but pleads with us, to develop enduring values by shifting our attention to how God wants us to live. This book will teach you how to accomplish this. What Our Animal Friends Can Teach Us about Life. Heartwarming stories and thought-provoking reflections about sharing life with an animal companion. The relationships we form with them—with dogs, birds, cats, horses, rabbits, and other pets—are full of joys and rewards. They show us the importance of being able to accept ourselves and to have empathy for others. A loving human-animal relationship is built on mutual care and concern, on mutual responsibility and respect. We become a part of each other’s existence. And we grow as human beings if we learn to listen to the animals. We begin to understand that we are here as part of creation, not as consumers of it. We are here to care for this planet, not to exploit it. We are here to find our proper place in nature, to grow with it physically as well as spiritually. 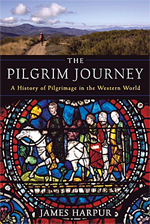 A History of Pilgrimage in the Western World. Harpur tells the fascinating story of sacred travel in the West over the course of 2,000 years: how pilgrimage was born and grew in antiquity, how it blossomed in the Middle Ages and faltered in subsequent centuries, only to re-emerge stronger than before in modern times. It describes the pilgrim routes and sacred destinations past and present, the men and women making the journey, the many challenges of travel, and the spiritual motivations and rewards. And it explores the traditional stages of pilgrimage, from preparation, departure, and the time on the road, to the arrival at the shrine and the return home. Letters on the Spiritual Life. This collection of over 100 unpublished letters offers deep spiritual insight into human experience, intimacy, brokenness, and mercy. Love, Henri consists of over a hundred letters that stretch from the earliest years of Henri’s career up through his last 10 years at L’Arche Daybreak. 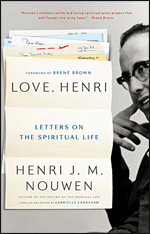 Rich in spiritual insights the letters highlight themes that emerged in both Henri’s work over the years, including vocation, solitude, prayer, suffering, and perseverance in difficult times. These deeply spiritual letters, sometimes poignant, sometimes funny, ultimately demonstrate the rich value of communicating with God through others. Ko te Reo Māori te Tatau ki te Ao. Note: This book is in Te Reo. There is no English edition. Sir Tīmoti Kāretu and Dr Wharehuia Milroy are widely recognised as leading teachers and scholars of Māori language and culture. The authors discuss key cultural concepts (including mana, tapu, wairua, whakapapa, ritual, farewell speeches and Māori humour) as well as language and cultural issues of the modern world. The language used is an exemplar for learners and speakers of te reo Māori. 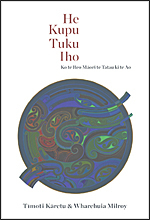 With assistance from a team at Te Ipukarea, the National Māori Language Institute, who transcribed and edited structured conversations between these two kaumātua, this book preserves the voices and ideas of these two renowned scholars for present and future generations. An Introduction to the Maori World. Edited by Michael Reilly, Suzanne Duncan, Gianna Leoni, Lachy Paterson, Lyn Carter, Matiu Rātima; Poia Rewi. 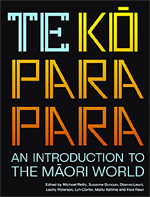 Te Kōparapara is an authoritative and accessible introduction to the past, present and future of the Māori world for students and general readers. Ka rite te kōpara e kō nei i te ata / It is like a bellbird singing at dawn. Like the clear morning song of te kōparapara, the bellbird, this book aims to allow the Māori world to speak for itself through an accessible introduction to Māori culture, history and society from an indigenous perspective. Leading scholars introduce Māori culture (including tikanga on and off the marae and key rituals like pōwhiri and tangihanga), Māori history (from the beginning of the world and the waka migration through to Māori protest and urbanisation in the twentieth century), and Māori society today (including 21st century issues like education, health, political economy and identity). Each of the 21 chapters provides a descriptive narrative covering the major themes, written in accessible formal English, including appropriate references to te reo Māori and to the wider Pacific. The book is illustrated with a mixture of images, maps and diagrams as well as relevant songs and sayings. How to Live Well Together. Auckland University Press (2018). $29.99. Whether we are competing for a job, building a business or championing a good cause, some days it can feel as if we are trapped in an endless competition for status, wealth or attention. Niki Harré asks us to imagine our world anew. 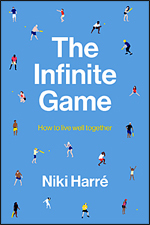 What if we are all part of a different type of game entirely – a game in which playing matters more than winning, a game that anyone can join at any time, a game in which rules evolve as new players turn up – an infinite game? Harré looks at our society (are people pawns or participants?) and ourselves (what kind of player would you like to be?) 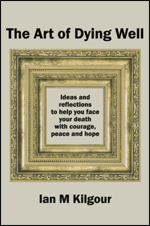 to offer an inspiring vision of how we might live well together. 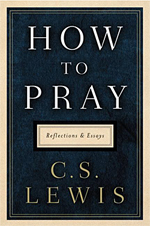 How to Pray showcases Lewis’s enduring wisdom on prayer and its place in our daily lives. Cultivated from his many essays, articles, and letters, as well as his classic works, it provides practical wisdom and instruction to help readers nurture their spiritual beliefs and embrace prayer in all its forms. While many people would like to speak to God, they often don’t know how to begin. Lewis guides them through the practice, illuminating the significance of prayer and why it is central to faith. How to Pray offers a deeper understanding of our personal tradition of prayer, our faith, and what is means to be a Christian. Storytelling, Knowledge Sharing, and Relationship. Julia Christensen; Christopher Cox; Lisa Szabo-Jones. Wilfrid Laurier Univ. Press (2018). 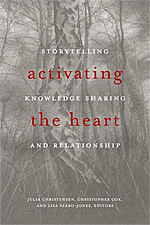 This book explores how storytelling engages and builds new inter-connections between people and their histories, environments, and cultural geographies. The collection focuses on the significance of indigenous storytelling and extends into other ways of knowing where scholars have embraced narrative and story as a part of their research approach. Ideal for scholars, artists, activists, policymakers, and practitioners who are interested in storytelling as a method for teaching, cross-cultural understanding, community engagement, and knowledge exchange. Living with Courage and Hope in Uncertain Times. Fear is a complex emotion. Sometimes it saves us. More often it robs us of the life we want. But we can take our lives back. 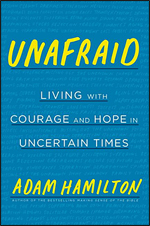 Writing with generosity and intelligence, Hamilton shows how believer and unbeliever alike can develop sustaining spiritual practices and embrace Jesus’s recurring counsel: “Do not be afraid.” For anyone struggling with fear or wondering how families and communities can thrive in troubled times, Unafraid offers an informed and inspiring message full of practical solutions. Drawing on recent research, inspiring real-life examples, and fresh biblical insight, Hamilton shows how to untangle the knots we feel about disappointing others, failure, financial insecurity, loneliness, insignificance, and aging. Then he helps readers understand and counter fears related to such outsize perils as terrorism, death, and the apocalypse. A Big History of Everything. Little Brown and Company (2018). Most historians study the smallest slivers of time, emphasising specific dates, individuals, and documents. But what would it look like to study the whole of history, from the big bang through the present day — and even into the remote future? How would looking at the full span of time change the way we perceive the universe, the earth, and our very existence? 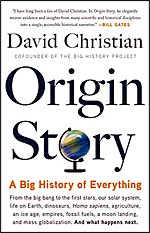 By focusing on defining events, major trends, and profound questions about our origins, Christian exposes the hidden threads that tie everything together — from the creation of the planet to the advent of agriculture, nuclear war, and beyond. With stunning insights into the origin of the universe, the beginning of life, the emergence of humans, and what the future might bring, Origin Story boldly reframes our place in the cosmos. A witty, thought-provoking gift book about keeping life simple. Selma is asked: What is happiness? She says: Happiness is eating a little grass at sunrise, playing with the children until lunchtime, doing a little exercise after lunch, a little more grass, a chat with her neighbour Mrs Miller in the evening and then a lovely long sleep. If she had more time? She would eat a little grass in the morning, play with the children until lunchtime, do a little exercise after lunch, eat a little more grass, chat with her neighbour Mrs Miller in the evening and then have a lovely long sleep. 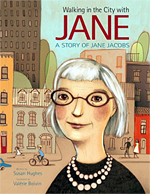 A Story of Jane Jacobs. Susan Hughes; Valerie Boivin Ill. So, when city planner Robert Moses proposed creating highways through the city that would destroy neighbourhoods and much of what made New York great, Jane decided she couldn’t let it happen. She stood up to the officials and rallied her neighbours to stop the plans — and even got arrested! Jane’s bravery and ideas had a huge influence on urban planning that is still being felt today. In this lively and engaging picture book, Susan Hughes provides a fictionalised story of the life of Jane Jacobs, one of the world’s greatest urban thinkers and activists. Worship and Christian education resources. Seasons of the Spirit is a lectionary-based resource created in community with congregations representing different denominations from Canada, the USA, the UK, Australia, and NZ. Seasons of the Spirit includes resources for the whole church. Leaders will find a wealth of ideas and help in the FUSION resource, while the ENCORE Age-Level resources span birth to adult. 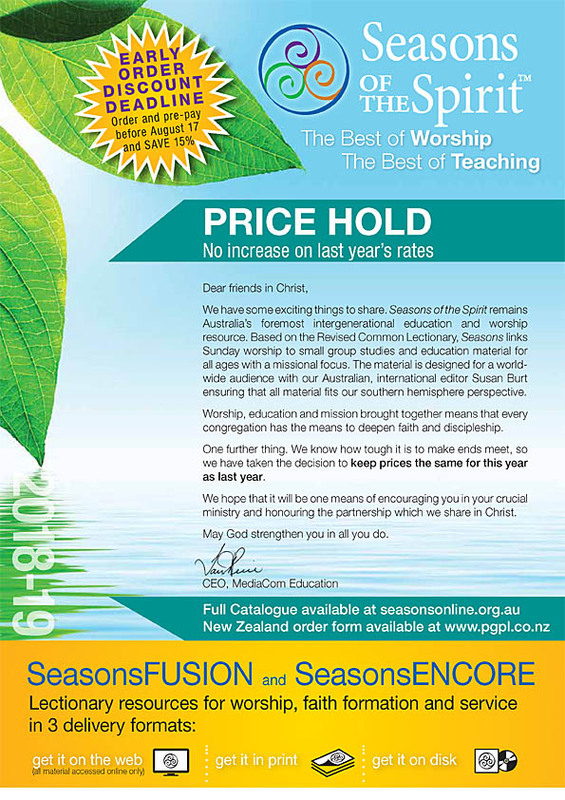 Click the image on the left below for a 4 page PDF catalogue explaining more about Seasons of the Spirit. Early Bird reduced prices apply for customer orders received and paid for by 17 August 2018. Higher Late Order / Standard prices will apply from 18 August 2018 onwards. Click here for links to our other recent selections.